So you've taken the first steps into blogging, and have set up a blog (and purchased a hosting or at least a domain hopefully)? Far from the job being done, we are only now getting started. Granted that choosing a blog topic, setting up a blog, buying a custom domain and hosting etc are some of the hardest parts. But that's as far as your decisions go. The next phase is to build upon those decisions. So now that you have started a blog, it is time to start building a readership! Part 1: How to create your first blog - what platform to choose? Social media is your one-stop-shop for building your readership. People nowadays don't just want to visit websites. They want content to appear right on their screens while they are surfing through their social network news feeds. For this, you need to create social media profiles for your business, because you need people to visit your site again and again, and not just the first time. Google has gone to great lengths to make people use its social media that is Google Plus. Now, as a regular internet, you might not have fancied it much. But as a blogger and/or a webmaster, having a Google Plus presence is a must. Google Plus users gain an advantage in search results as their content can be +1'd by readers, they get an AuthorRank which informs PageRank, and so on. You can create a fan page on Google Plus for your blog right from your own personal account. Read the following to get an idea of what Google fan pages are, and how to create them. How to create a Google+ page? Google Plus is about making connections. Follow others, so that they may follow you back. Participate in conversations, and generally socialize with people. Google favors social people when calculating AuthorRank. More than a Billion people use Facebook. Almost every internet user is using Facebook. As a business, your online presence on Facebook is a must. Facebook Pages, much like Google Plus Pages, can also be created through an existing personal profile which won't effect the page. If you just go to Pages, and create a New Page (and follow the simple instructions) your page will go up live on Facebook for everyone to see. you should share your updates on this page, and it will get you likes and a steady referral traffic in return. With Facebook, your posts can go viral easily. People who like or comment on your posts also make your post visible to their friends, who in-turn, can make it visible to their friends. This way, you can reach out to a lot of extended circles. You can actually see how viral each of your posts is. 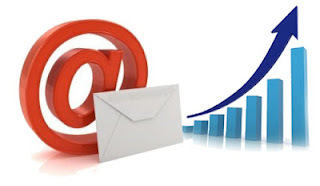 Email marketing refers to reaching out to people and marketing yourself via email. It is perhaps the most important aspect of building a readership, and here's why. Normally, new users learn about your website via search engines. But what if you had thousands of unique visitors daily, but then got hit by a major Google algorithm update such as the Panda? All those visitors would vanish instantly! If only there was a way to retain all those, or even a fraction of those visitors! This is where email marketing comes in. People who like the content on your site might want to visit again, and might bookmark your site. But even bookmarking is temporary, and people often tend to delete them. You need to make them stick - to make it more substantial. Getting people to subscribe to your blog is a great way to do so. They will simply leave an email address, which will be added to your subscriber list. You can then market your brand to these subscribers via email, so they can access your content without visiting your site. On top of that, the traffic that comes from such people is steady, and not prone to change with changing search algorithms. There are various email subscription software that you can employ on your blog. One of them is Feedburner, which is free. It is powered by Google, so you can simply log in using a Google ID. To be able to use it, create an account (if you don't already have one), and then from the dashboard, burn a new feed. Enter your blog's URL, and then click Next. Then follow the simple instructions to create a new feed. This feed comes from your blog, and is updated whenever you create new content on your blog. This feed can then be used to send out newsletters and updates to your subscribers, power RSS feeders, and so on. If you think you're pro enough to move away from free services, then you can try premium ones like Aweber. It is a professional email subscription software like Feedburner, but with a lot of options for scheduling, customization, auto-responding, and email marketing, something Feedburner lacks as a freeware service. Aweber and similar services are excellent for business. But for most bloggers, and especially starters, Feedburner will do the trick. These channels should be enough to get you started for now. And indeed, they might all you need for a long time. We here at MBT built our readership by using these alone. It isn't hard, it's just time-consuming. If you have the patience, you will definitely succeed. You've just outlined all the most of the effective ways of building blog readership, though am focusing more attention on Facebook and Google+, its really works for me. Thanks for sharing bro Qasim. I really enjoyed reading this post, I will apply this one too. Thank you!!! Awesome Post blogger should must do all thats. Qasim Bro where is Mohammad Bhai ? These are quite great ways to build readership.Social media really helps to build up blog readership. But facebook seems to be the leader here. Google+ is hardly as engaging as facebook is. The use of premium email software like aweber is nice; but the reason a lot of people go for other alternatives like mailchimp is because mailchimp allows you to build up to 2000 names for free, whereas aweber makes you start paying from day 1. FeedBurner is really good service provided by Google , Any alternative ? most informative article and I personally feel that social media helps a lot in gaining huge traffic and increases blog readership.